Eating raw aloe is an exciting new trend in China, but the wellness fad can go horribly wrong if you're not an expert. According to Vice, it's not unusual for young women to livestream themselves eating the plant for its health benefits. 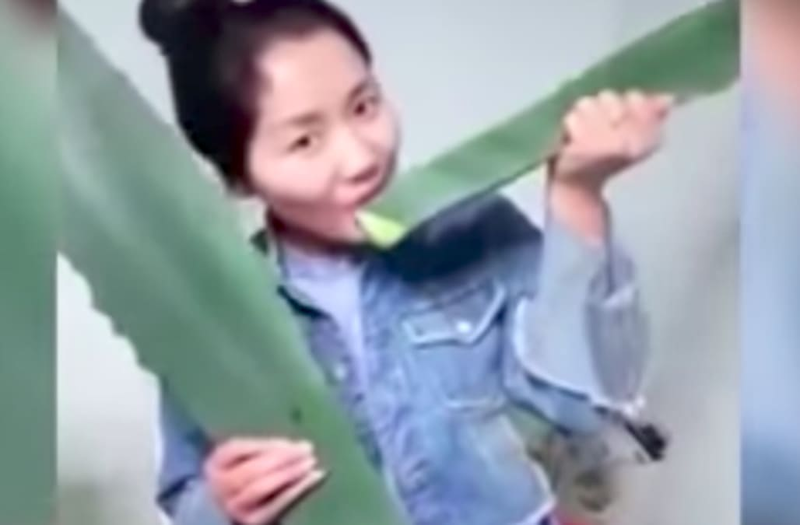 Things took a dangerous turn when one wellness vlogger took a hearty bite from a leaf that was not the aloe she thought it was at first -- it's a potentially deadly plant. The Agave americana, which looks very similar to the aloe plant, contains toxins that can cause serious burns and swelling in the throat. In the video, she says that the plant is "so good" -- but immediately admits that it is bitter. The video abruptly ends as she realizes that something was not right. She got to the hospital just in time, luckily, and learned a valuable lesson -- don't take bites out of random plants.